Beth McGuire is a Professor in the Practice of Acting and Director of Speech and Dialects at Yale School of Drama. Past faculty appointments include New York University, Brooklyn College, St. Francis College, The Actors’ Center (NYC), The Shakespeare Theatre of New Jersey and Theatre for a New Audience (NYC). 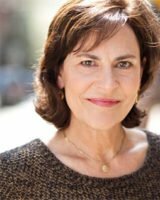 As a professional dialect and vocal coach, Beth works regionally, on and off Broadway, as well as in film. In addition to being a certified Fitzmaurice voice teacher, Beth is a member of VASTA, EQUITY and SAG-AFTRA. Her professional acting experience includes productions off-Broadway and regionally. Her book, African Accents: A Workbook for Actors, is available at Routledge and on Amazon. MFA Brandeis University; BA Oberlin College.